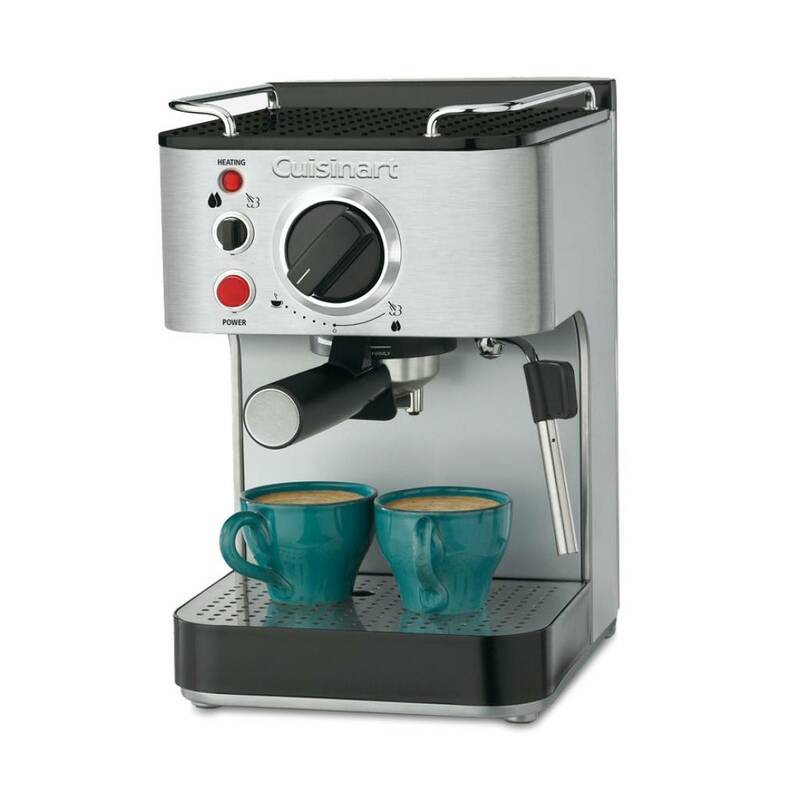 Imagine the aroma of a fresh cup of your favourite espresso beverage – hot, rich, bold and flavourful. 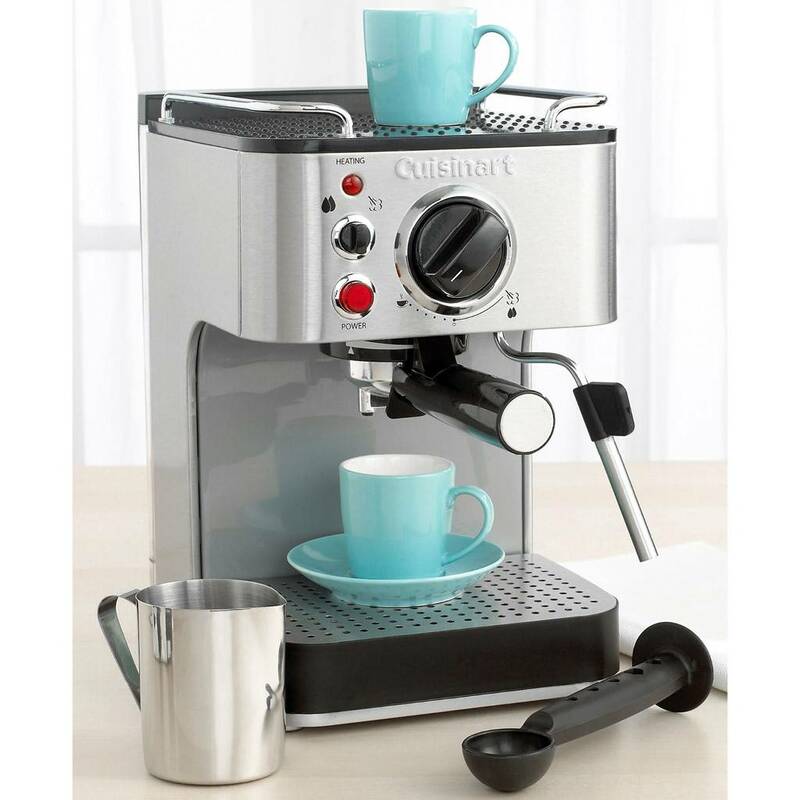 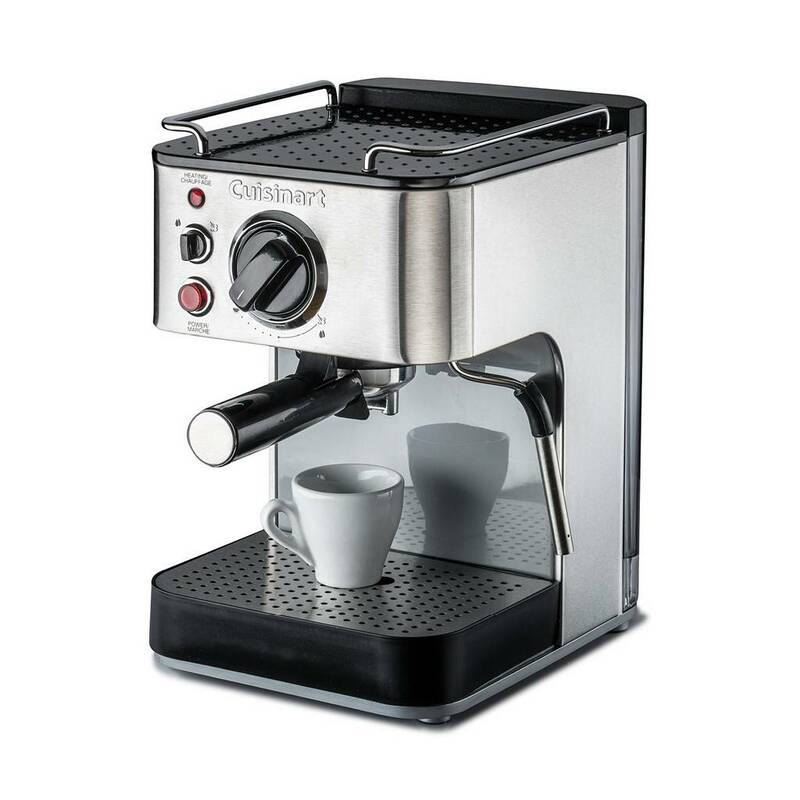 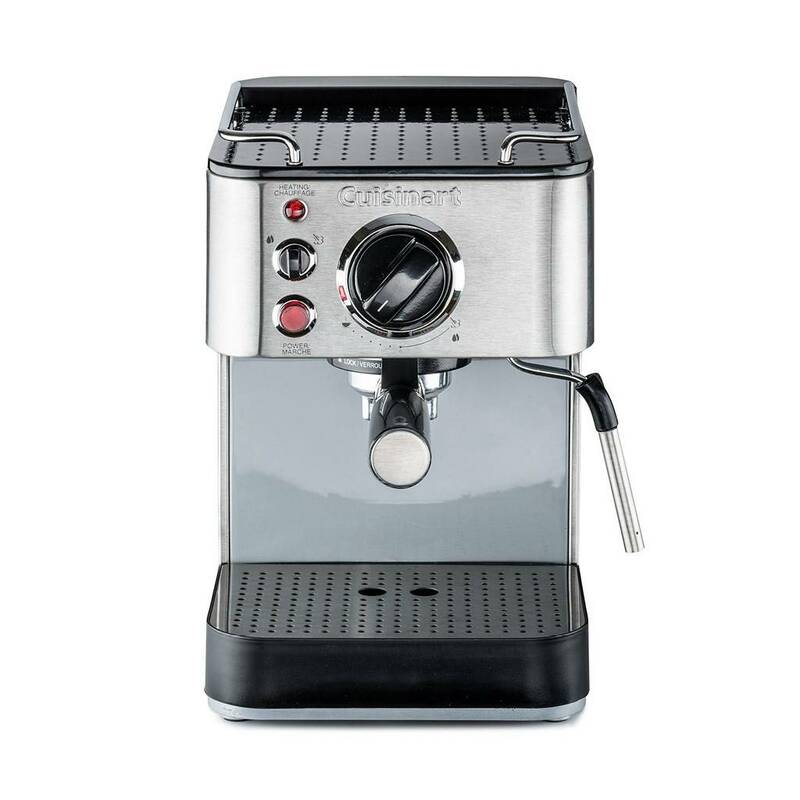 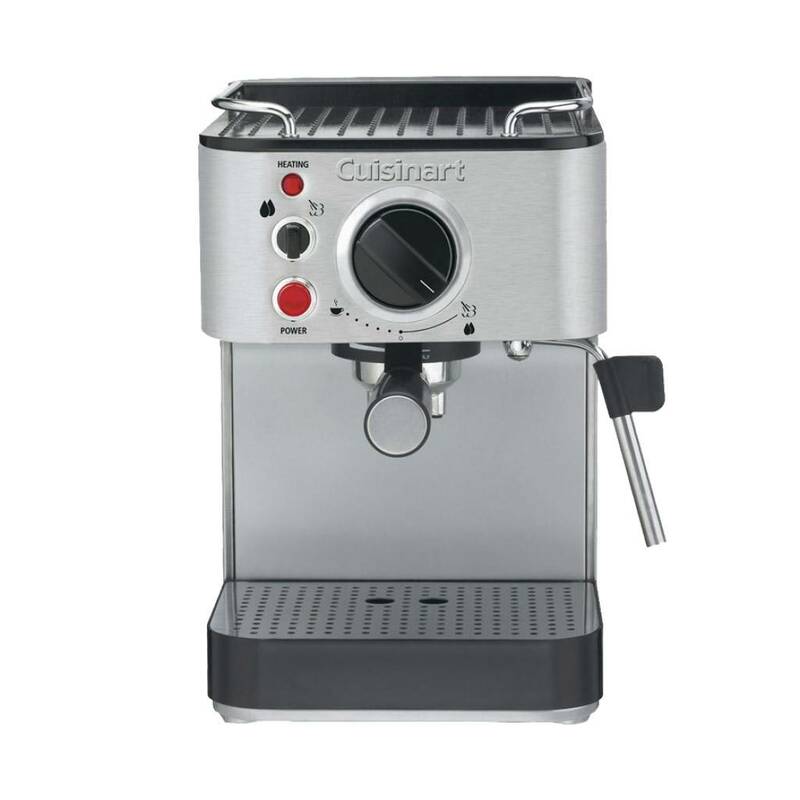 Now, make your imagination reality with the stainless steel Cuisinart® Espresso Maker. 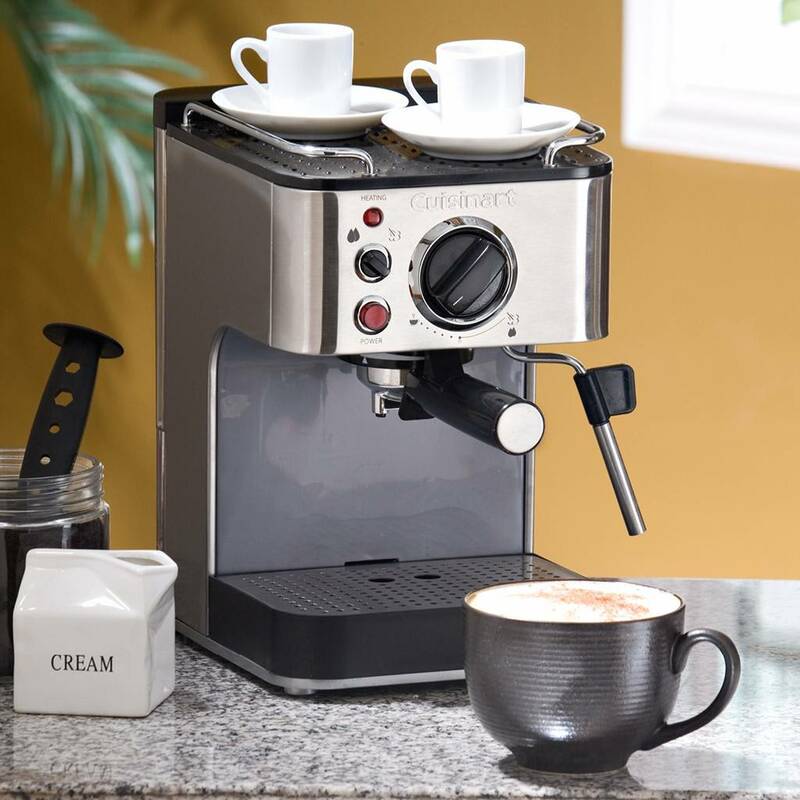 Press an espresso and then use the stainless steam nozzle and frothing cup to transform it into a coffee, latte or cappuccino. 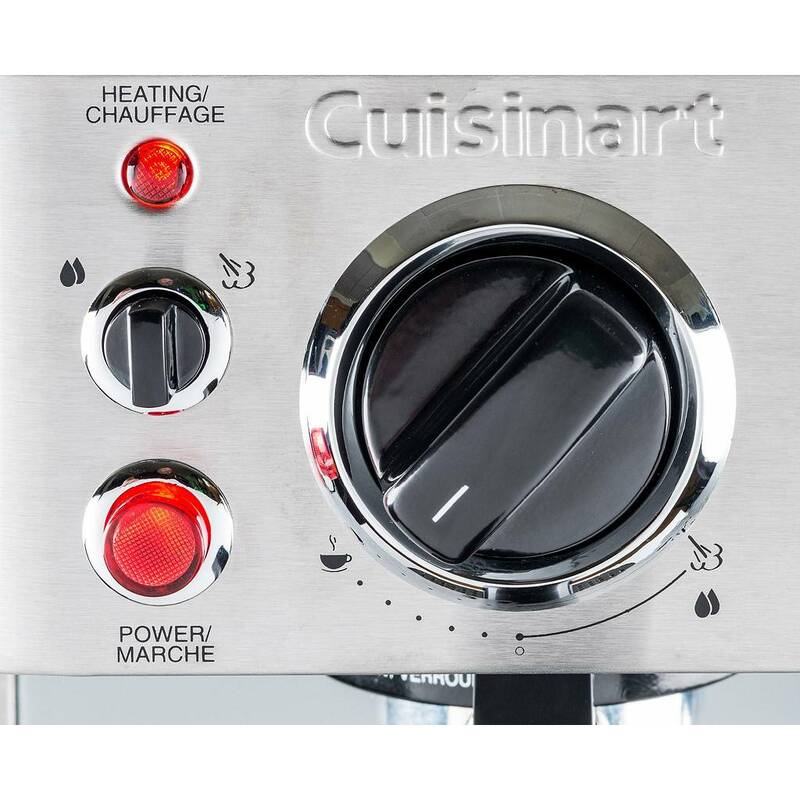 You can even heat cups on the warming plate above to keep your beverage steaming hot. 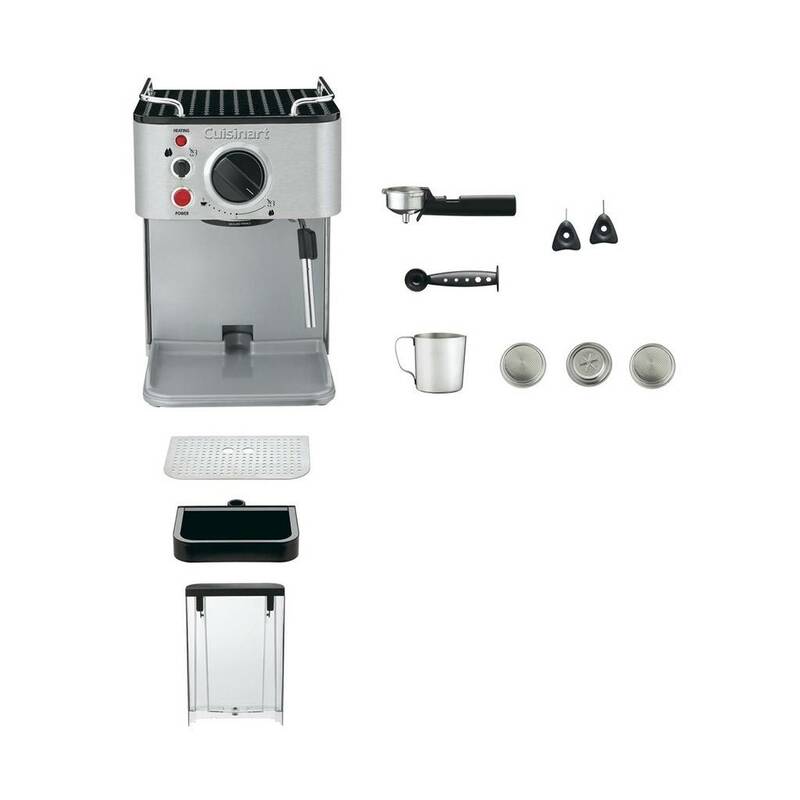 Unit LxWxH: 12.56" x 8.19" x 10.94"
Box LxWxH:12.80" x 9.57" x 14.72"